The champs return this year without some key players, Jacoby Ellsbury and Ryan Dempster, but the Red Sox still have the depth to win it all again. 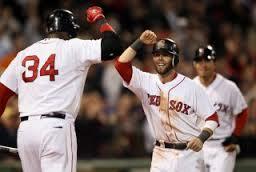 The addition of Grady Sizemore could prove to be a big addition if he can stay healthy and return to all star form. The Red Sox have a solid team from top to bottom with 2B Dustin Pedroia and DH/1B David Ortiz, but the strength of the team is definitely the pitching. The Red Sox have one of the best bullpens, if not the best, led by closer Koji Uehara. The Red Sox led the league in runs scored last year so scoring won’t be a problem. The only question mark is at CF, but I believe the combination of Jackie Bradley and Grady Sizemore will prove capable of handling the position, both offensively and defensively. Boston’s pitching rotation is also pretty good with Jon Lester and John Lackey leading the way. With Jake Peavy as the third man in the rotation, this projects as one of the best rotations in the American League. 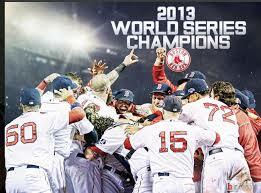 The Sox are a good team from top to bottom with a lot of depth and I believe they will win the A.L. East again this year because of how deep they are across the board and make a push to win back to back championships.